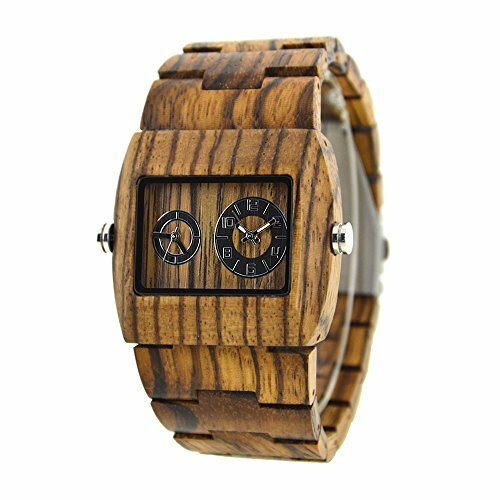 Wooden watches are my favorite that’s why I’ve put together a list of the best wooden face watches for you. 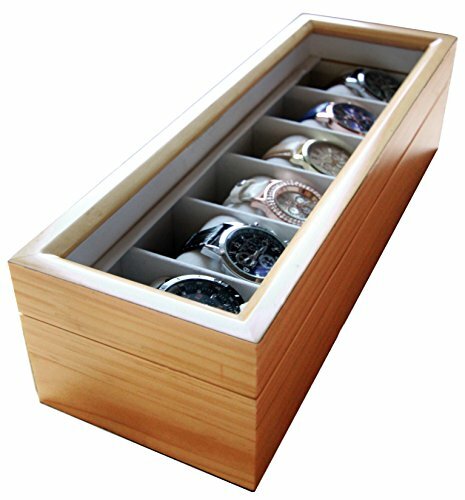 I am a total watch nut and I have quite a collection. 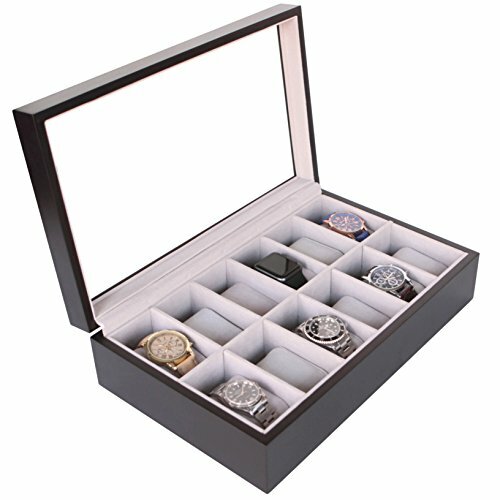 I love any watch that is unique and different. Something you wouldn’t see every day. 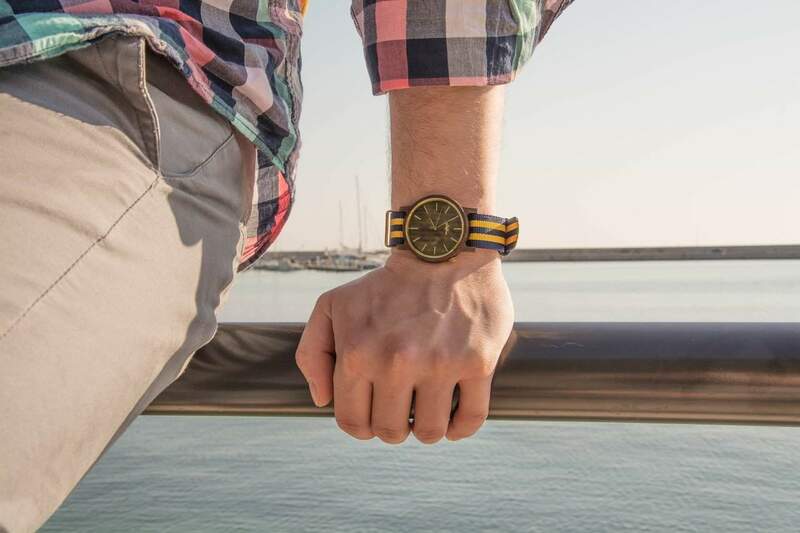 When I wear a watch I always get compliments because I love to choose totally different and unusual looking watches. 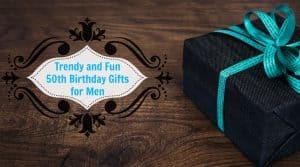 They also make fantastic gifts. 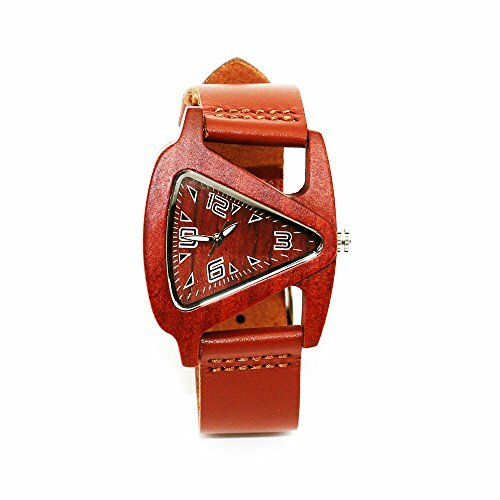 My absolute favorite at the moment is the wooden faced wrist watch. 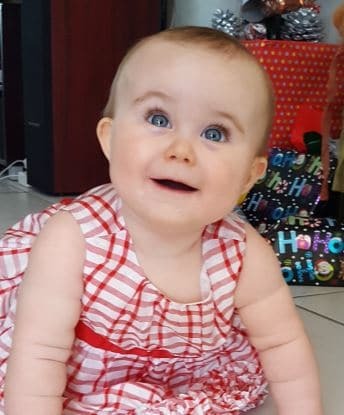 I’m in love. 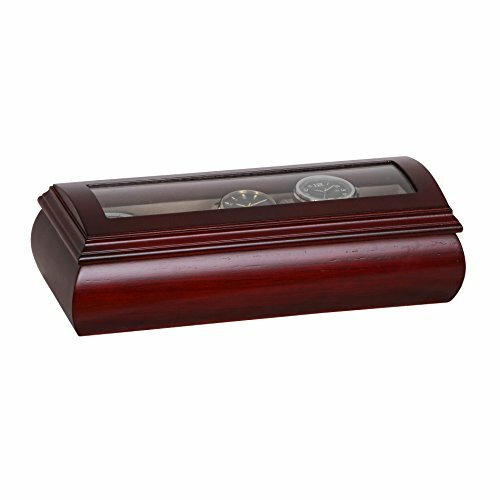 My third one is on its way from Amazon and I can’t wait. 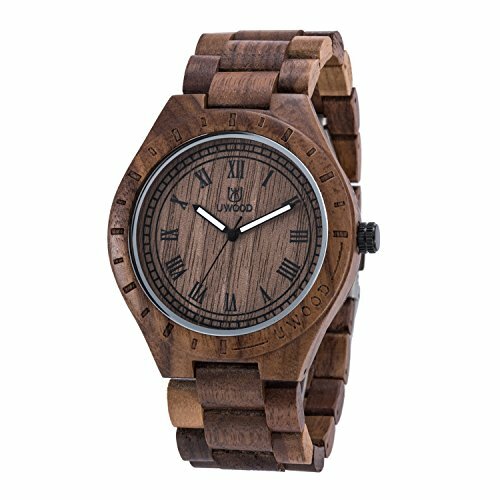 What I like about wooden face watches is that they are organic and made out of different types of wood. 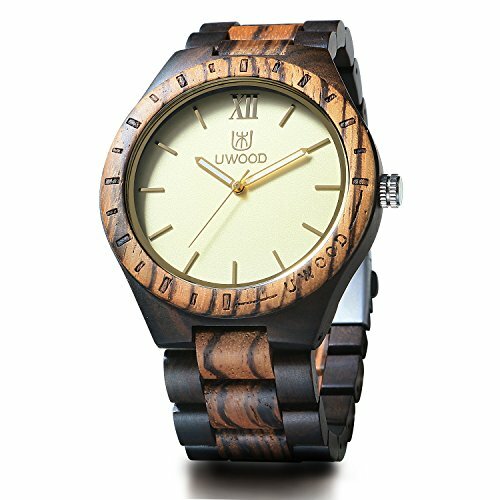 They have such character because all wood is different and therefore no two watches will look exactly the same. 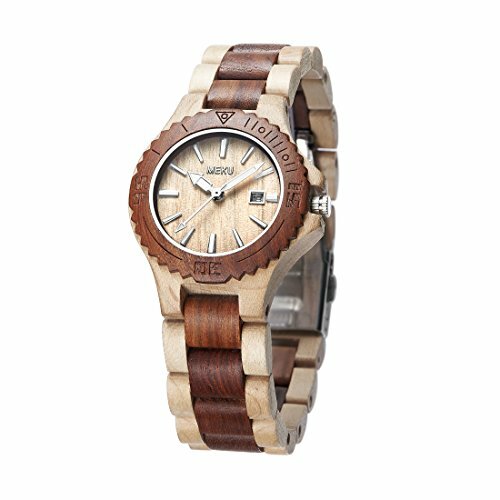 A wooden faced wrist watch is extremely comfortable and doesn’t perspire on a hot day like some watches. 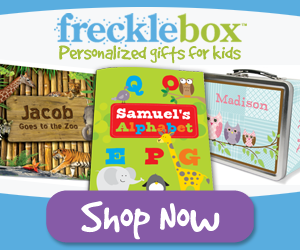 They are perfect for people with sensitive skin or if you have allergies to certain metals. 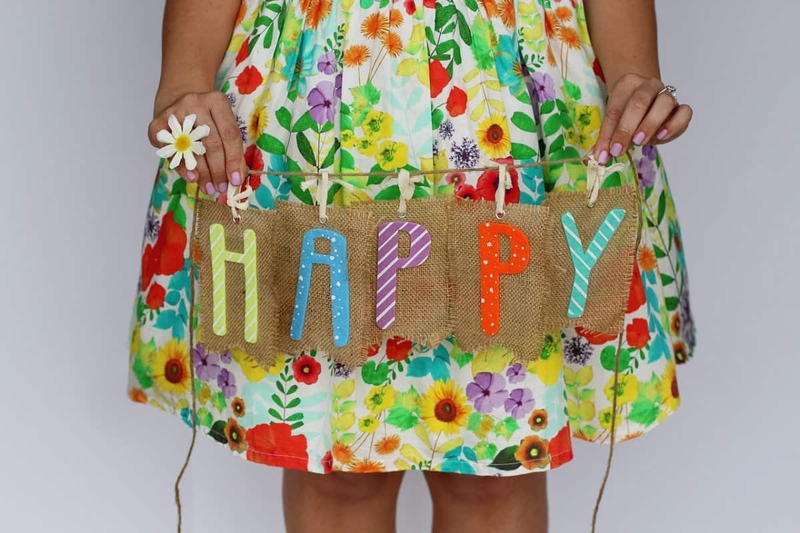 They are also extremely light on your wrist. 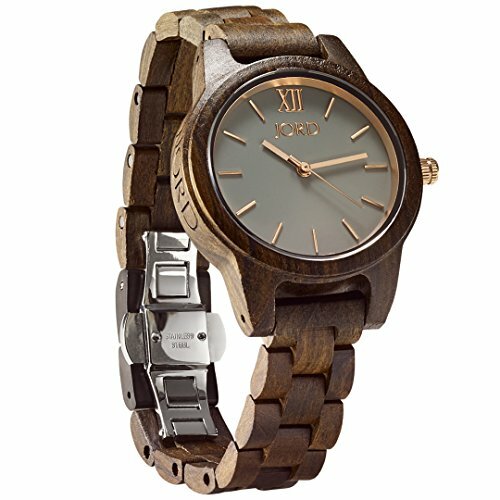 What I also like about wooden face watches is that the strap is rather long in order to fit most wrists. My wrist is quite small so I had to have a few of the links removed, but I like that this option is available instead of receiving the watch and it ends up being too small. 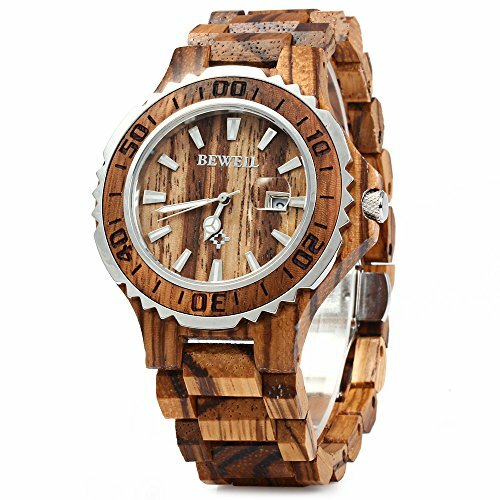 The only downside is that although wooden face watches are splash proof, they are generally not waterproof because they are wood. 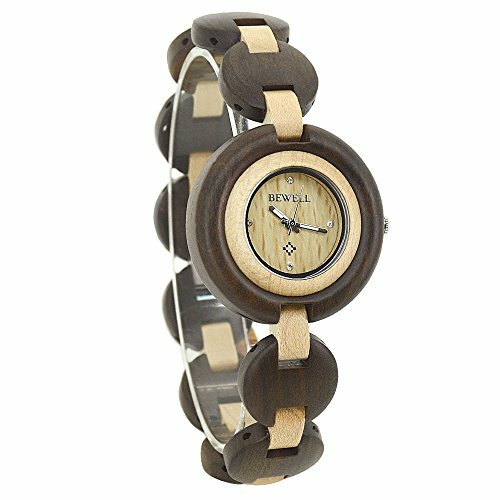 Here is my second wooden faced wrist watch. 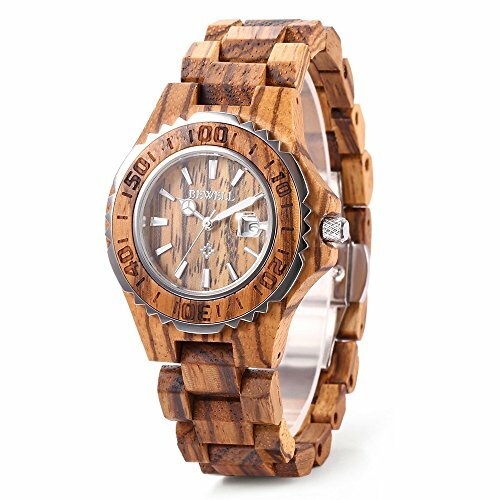 I’m putting together a collection of all types of wooden watches…..I can’t help myself. LOL! 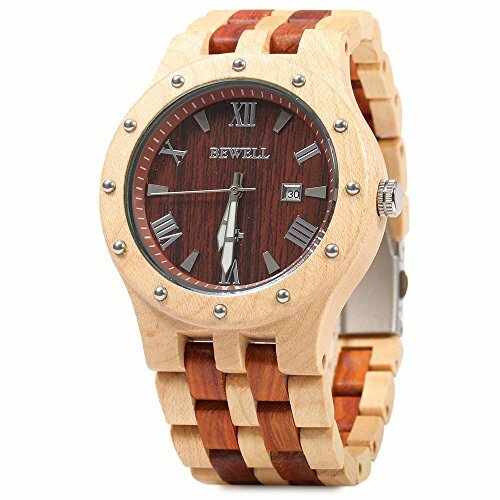 This one is a Bewell Ecowatch and is 100% natural. I’ve had this one for over a year already and I am really happy with my purchase. 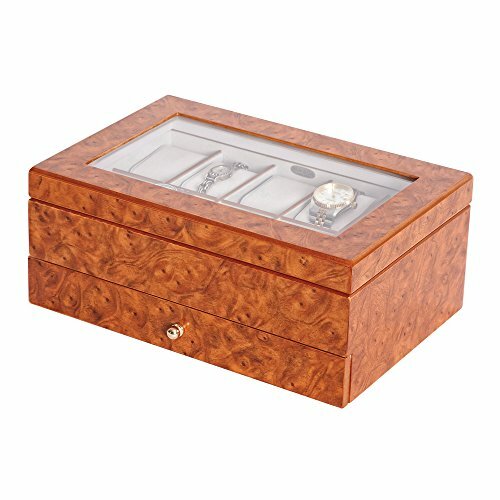 Looking for something like mine, here are some great options. 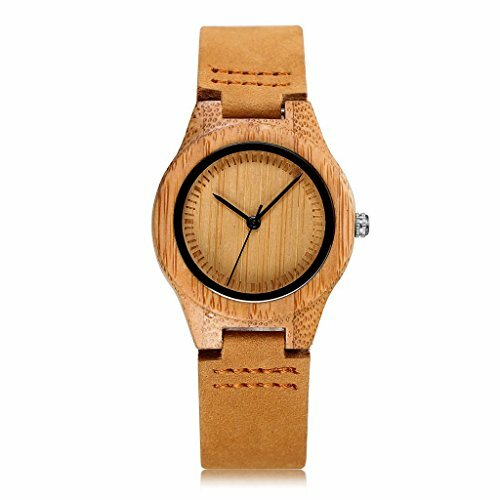 Bamboo – has good mechanical properties, filter materials, high strength, good flexibility and low density. 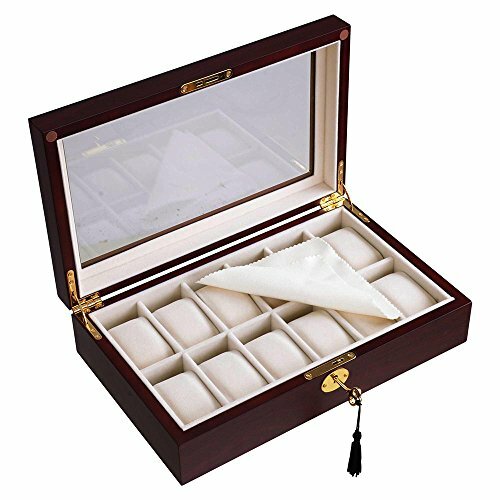 Sandalwood – from ancient times in China and India white sandalwood was used to make expensive furniture and statues. 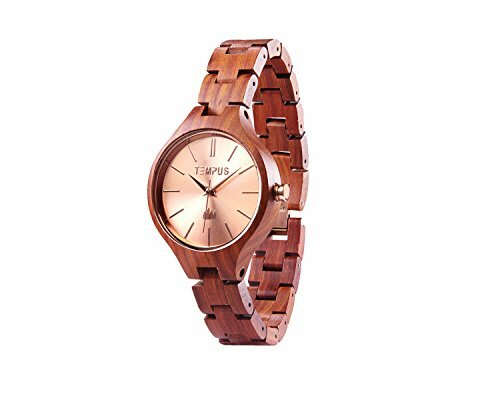 Maple Wood – is considered to be one of the most valuable species. 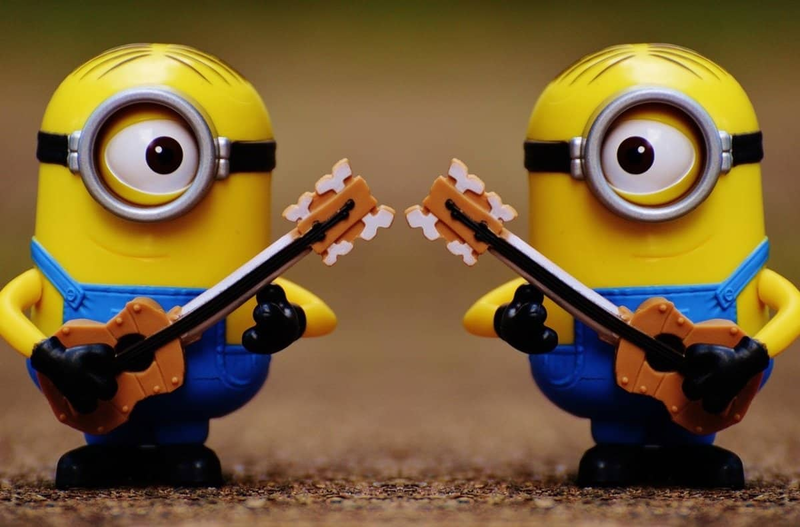 It is used mainly for furniture, floors and staircases, and more interestingly it is used to manufacture string and wind musical instruments. 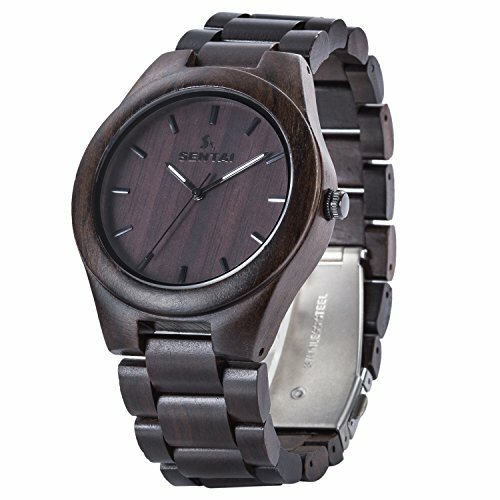 Black or Ebony Wood – has high strength and density. In Egypt, Ebony is considered as a jewel along with ivory and gold. I’m totally dreaming again. 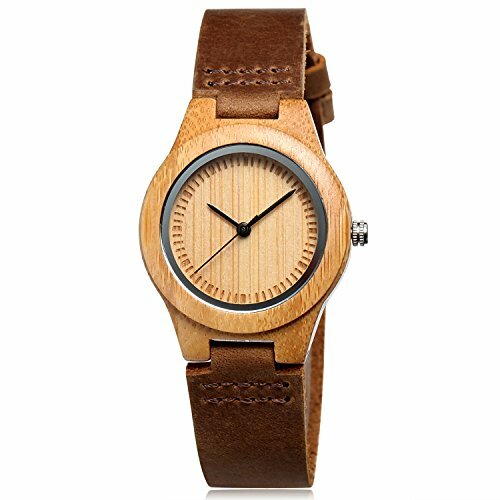 Amazon has just received new wooden face watches for women. These are absolutely gorgeous. 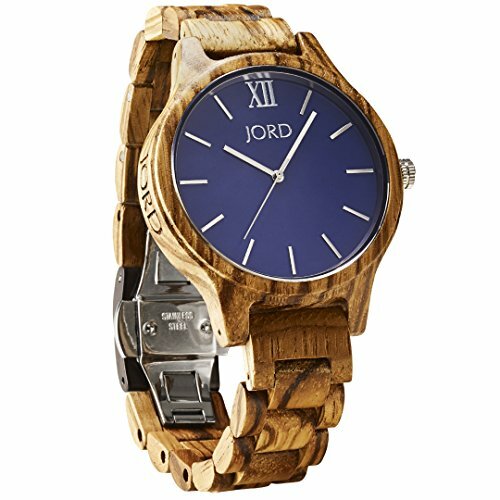 I especially like the Sandalwood side-triangle one. 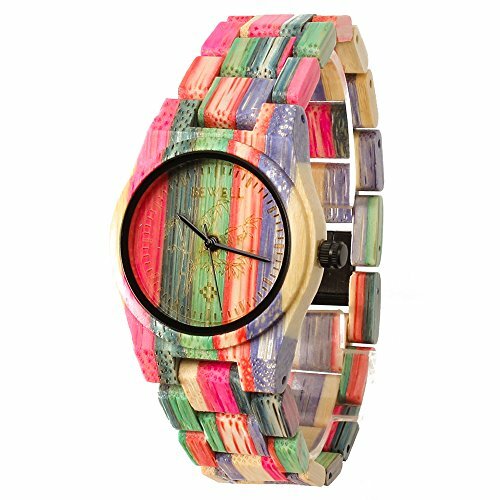 I’ve just ordered it for myself for Christmas and I’m going to choose another one for my sister in-law. 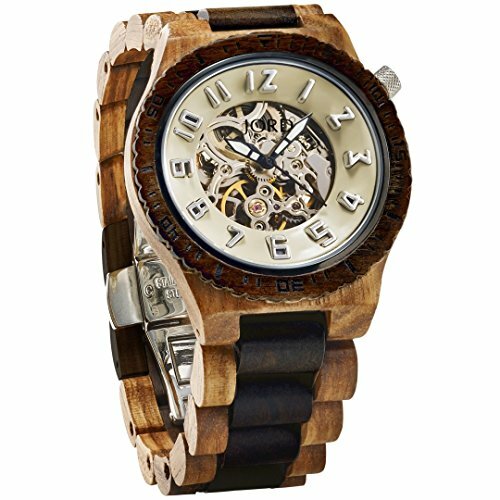 There are some really great styles for men when it comes to wooden face watches. 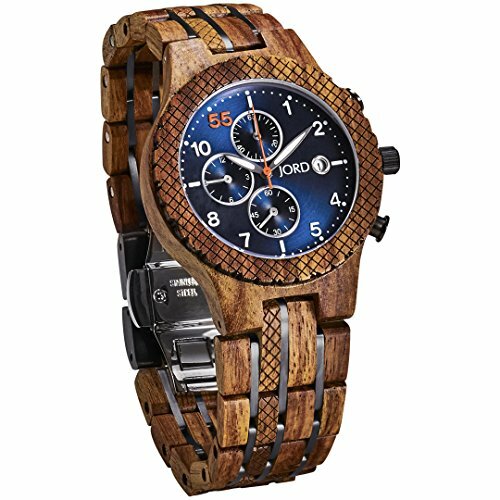 I think there’s probably more variety when it comes to the wooden faced wrist watch for men than for the women. You lucky men! 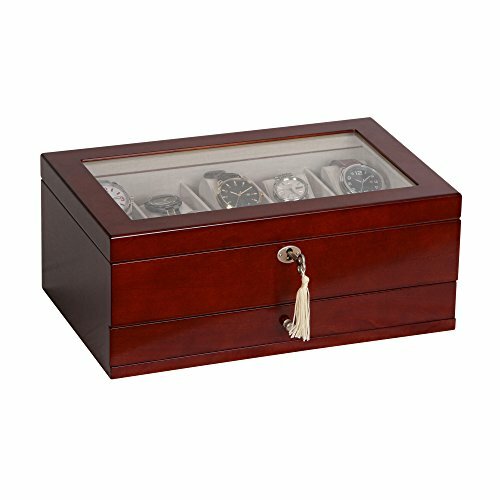 Wooden watch boxes are a great place to keep your watches safe from getting damaged or lost when you’re not wearing them. 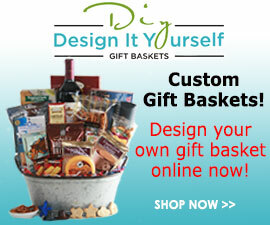 For me it’s not always something that one would buy for yourself that’s why it makes a great gift.